This module include MCU, high sensitivity, low consumption and anti-interference. Able to reach 1.5km (Straight line, open area). Use high efficiency cyclic error-detection and correction code to greatly enhance sensitivity and anti-interference. Transmit power 100mW, low consumption and wake on wireless. 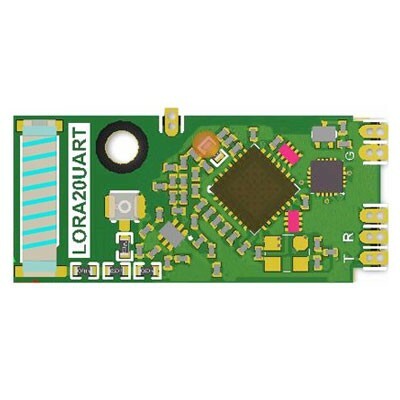 LoRa provides ultra long range while maintaining low current consumption wireless platform is the prevailing technology choice for building IoT networks worldwide. LoRa spread spectrum technology brings farther communication distance and covers community with thousands of people. Suit for meter-reading, smart home and integrated burglarproof alarm equipment. LoRa technology is being integrated in to cars, street lights, manufacturing equipment, home appliances, wearable devices – anything, really. 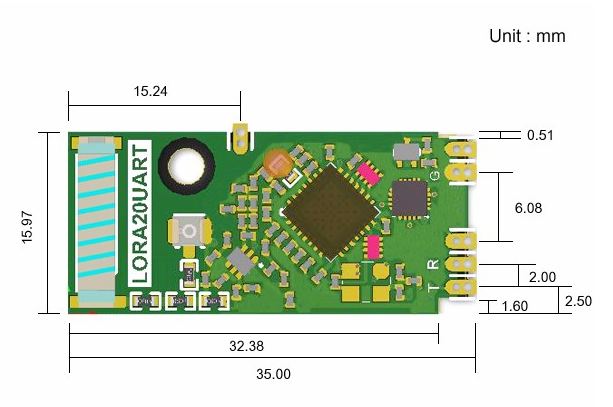 Lora technology is making our world a Smart Planet. The patented modulation technique the device can achieve sensitivity of over -140 dBm. The modulation technique also provides significant advantages in blocking and selectivity over FSK. The device also support high performance (G)FSK for WMBus, FCC Part 90, 15.4g, and other legacy modes.